Parkland student Kyle Kashuv is definitely the only honest one in the bunch! He actually defends the second amendment instead of trying to ban guns the way David Hogg has. 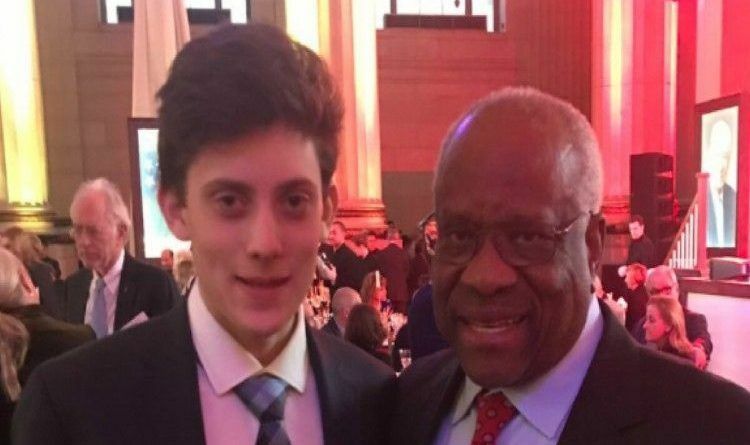 In a Twitter post published on Thursday night, Parkland survivor Kyle Kushyv shared the incredible promise Justice Thomas gave him after they met. Via The Washington Times: “A former colleague of Justice Thomas, retired Justice John Paul Stevens, called recently for the repeal of the Second Amendment, which guarantees the right to keep and bear arms. Justice Stevens wrote the dissent in the Heller case, where the majority held explicitly for the first time that the Amendment protects an individual right against government regulation. Well done Kyle Kashuv! Justice Clarence Thomas is one of the GREAT ones on the Supreme Court. Luckily, he knows the meaning of “…..shall not be infringed.” Anyone that knows and understands the constitution and the appeal process knows that the 2nd Amendment is safe. There are too many states that will protect it that it will never make it to Congress to be voted on. We the People will protect our constitutional rights… period. That’s why the Democrats keeping passing unconstitutional infringements on our rights. Those infringements will be struck down in the Supreme Court once the lower courts try to cheat us first.